(AUSTIN, TX) – Texas State University System Chancellor Brian McCall, Ph.D., today announced the appointment of James Gaertner as interim vice chancellor for academic affairs. In this role, Gaertner will serve as the university system’s chief academic officer, overseeing academic program planning and review, curriculum development, and academic standards and policies. 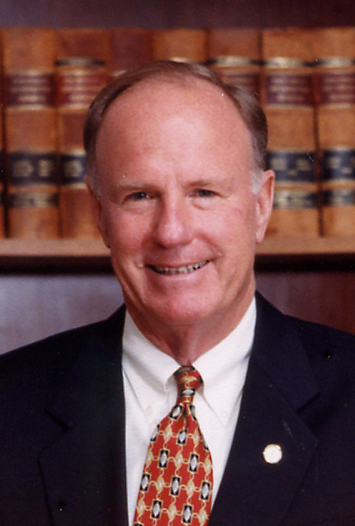 Gaertner is president emeritus of Sam Houston State University in Huntsville, having served as president of SHSU from 2001 to 2010. Prior to arriving at SHSU, he served as dean of the College of Business at the University of Texas at San Antonio and as a professor at UT San Antonio and the Notre Dame University. While at Notre Dame, he was director of the university’s London Master of Business program in England. Gaertner earned his bachelor’s and master’s degrees in business from Sam Houston State University and his doctorate in accounting from Texas A&M University. “Serving Sam Houston State University, my alma mater, will always stand as my life’s professional legacy, but it’s both an honor and obligation to answer this call,” said Gaertner. During Gaertner’s tenure as president, SHSU added 14 new master's programs and two new doctoral programs, achieved Carnegie Doctoral Research classification—which placed it in the top seven percent of all higher education institutions in the U.S., presided over more than $275 million of construction projects, and the university successfully completed its first capital campaign in history, raising more than $60 million over five years. Gaertner announced last November his plans to retire as president of Sam Houston State effective Aug. 31, 2010. He will serve as vice chancellor for academic affairs from October 2010 through May 2011, succeeding Dr. Kenneth Craycraft, who left the Texas State University System earlier this year to join Higher Ed Holdings, LLC.